Since launching in 2010, National Geographic Traveller (UK) has reached a readership of over 180,000 and won multiple awards for its content. Its website receives over 50,000 unique users per month. 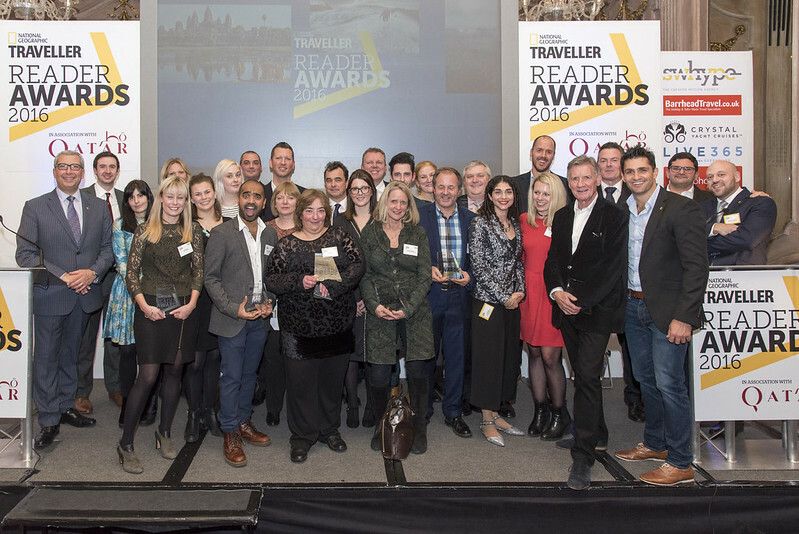 Following the success of the inaugural Reader Awards 2015, APL Media and National Geographic Traveller — in association with the Qatar Tourism Authority — hosted the Reader Awards 2016. Winners were revealed at a ceremony in November 2016, and the full results were released in an eight-page spread in the Jan/Feb 2017 issue of National Geographic Traveller (UK). Readers were again able to vote for their favourite destinations, airlines and tour operator, as well as five new categories, including best travel blog. The results were announced during a ceremony on 29 November 2016 at Le Meridien Piccadilly hotel in London, hosted by celebrity TV chef Kiran Jethwa. Michael Palin was also present to collect the award for Outstanding Contribution to Travel. Winners were selected by a record 7,957 voters — almost 2,000 more than 2015 — and were automatically entered into a draw to win a range of prizes, from a seven-night cruise in northern Iceland to a year’s subscription to National Geographic Traveller (UK). Over 300 travel industry professionals attended the invite-only event, which was live-streamed on the night. The hashtag #NGTReaderAwards reached over 500,000 Twitter accounts with nearly 4 million impressions. Following the success of the past two years, the NGT Reader Awards will run again in 2017, with the awards ceremony due to be held in November.